The recent episode of the BBC wildlife series 'Dynasties,' narrated by Sir David Attenborough, might have shattered some illusions about the life of the so-called 'King of the Beasts.' Here were Lions that, rather than lording it effortlessly over all the inhabitants of Kenya’s Masai Mara, were portrayed as surprisingly vulnerable. We watched the dramatic moment that a youthful male Lion was surrounded by a pack of 20 Spotted Hyaenas and were captivated as Charm the Lioness protected her very young cubs from a herd of angry African Buffalo intent on trampling them to death. In a neat twist, even the beleaguered Blue Wildebeest, so often the collateral damage in wildlife films (and did you spot the one snaffled by a Nile Crocodile almost incidentally, without any mention in the commentary?) got one over its old enemy. One lucky wildebeest managed to fight off an attack by the wounded and weakened Lioness Sienna, and you could almost delight in its snort of triumph as it broke free. Meanwhile the flies, forever buzzing about the animals’ faces in almost every scene, seemed intent on making life difficult. The Lions’ lifestyle and social structure is hardly a breeze, either. 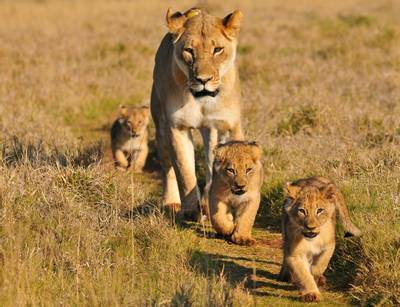 Prides are matriarchal, which means that females sometimes remain in the same pride as their mothers for all their lives, but all males must invariably leave. The latter, if they wish to reproduce, are then compelled to take over a pride by force, which they will sometimes do as teams, like the cousins Red and Tatu. The takeover is invariably brutal, and usually involves the new males killing or forcibly ejecting any young, non-breeding animals already in the pride. It’s nasty, but on average a male’s reproductive life is very short, just 2-3 years! Yet, not surprisingly, the harshest problem that pride-leader Charm and her vulnerable pride (the Marsh Pride, made famous by Big Cat Diary) had to cope with was a human one. Forced to the edge of their territory, these animals came into conflict with (illegal) herders who were protecting their livestock with poisonous bait. The scenes depicting the sickened animals were just that – sickening; one youngster, we learned from the last part of the programme, died owing to the effects of poison, and another adult also disappeared. It is heart-breaking to report, and many of us in our youth would never believe that it could ever have happened – but Lions as a species are disappearing. According to the IUCN, they are now classified as ‘Vulnerable’. Once found in much of south-west Asia they are now confined to just one location in Gujarat, India. 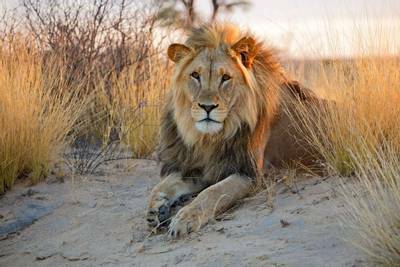 Meanwhile, in their stronghold of Africa, Lion numbers are falling fast and, despite this programme giving an estimate of 20,000 individuals, there could be as few as 15,000 left. Space for this magnificent predator is running out. 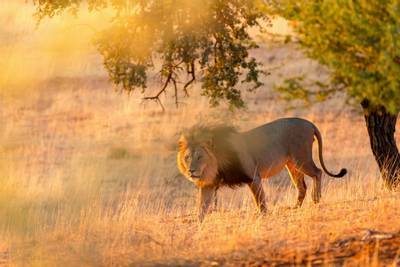 Things are not critical yet, however, and fortunately there are still many places in Sub-Saharan Africa where Lions roam free. 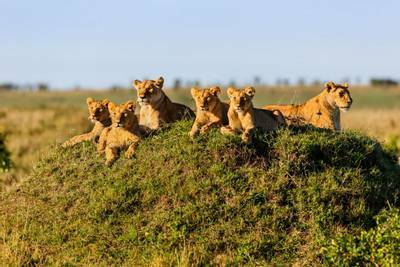 The area featured in the programme, Kenya’s incomparable Masai Mara Game Reserve, is probably the best location in the world for big cats and is home to a very healthy Lion population. Should you visit the reserve with Naturetrek you can also enjoy all the other animals, large and small, that share these famous Lions’ domain – for example, did you spot the Burchell’s Zebra, Topi, Secretary Birds, Helmeted Guineafowl and some very angry Hippos? You may also wish to read about all of our Big Cat Holidays.